There are a lot of tutorials like this one or this one. The problem with this tutorials is that they take quite some time and they aren't easy to follow for people who are new to a Linux environement. The purpose of this script is to automate the installation of an IOTA full node. It compiles the IRI, it generates an ini configuration file, it sets up a daemon, it can be used to add new neighbor nodes, etc. I hope it will be helpful to people trying to set up a full node. @dodolord Great work, and thanks for posting this here. Your thread has been pinned to the top of this forum. Why does the IRI jar file have to be compiled? Shouldn't it just run? I'm having problems getting my full node to run on my Win 8 machine. It has two advantages in my opinion. First of all, you can see in the script from where the source code for the IRI is downloaded and compiled, which is the official repository of the IRI default implementation. This way you can always easily check if you can trust the generated IRI jar file. If I included a jar file myself or let the script download it from somewhere, you won't be 100 % sure if you can trust it. And secondly because compiling it from the source repository always means that you have the latest version of the IRI jar. UPDATE: now my IOTA installation script integrates IOTA-PM! So now, when your run the script to install a node, you will also have an option to include IOTA-PM within the installation (see screenshot in the README). You won't have to install and configure IOTA-PM yourself. Would you like to install IOTA-PM? This is a program for monitoring and managing IOTA peers connected with your node. Can you advise the command we need to issue at the terminal of VPS please ? Sorry, we are brand new to Linux, and doing our best to learn this. Thanks for the feedback. I will add dig, curl and npm in the README. Do you by any chance have available slot to add me as neighbor. I installed everything as you mentioned, but i dont have active neighbors. the entire ting has exited. something like. any idea what this means ??? Unfortunately I can't add more neighbors since my server is at it's limits. But you can always find neighbors on this forum, on https://www.reddit.com/r/nodesharing/ and on slack (on the nodesharing channel). 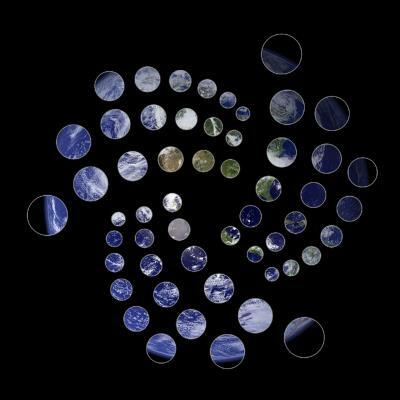 This is because the iota-node service (daemon) will only start AFTER adding a neighbor. Since you didn't first add a neighbor, the service was not active and this caused this failure. Check the power part of the screenshot in the README: "... Add a neighbor to start a node ..."
Great work! Any chance you can add Nelson to the Script?